Jon Olsson Invitational kicks off! with some 30 skiers from 10 different countries. 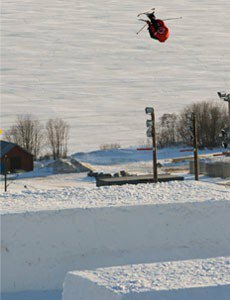 JOI-finals on Saturday night at 7 pm are expected to draw a crowd of thousands to the Olympia slope in Åre. the next couple of days,&quot; says Olsson. 17.00-21.00 Press Office, Olympia finish arena.